Earlier today, Sazerac Company offered members of the press a preview of the Sazerac House museum. The Sazerac House is destined to be an important visitor attraction and museum in this giant cocktail city of New Orleans. 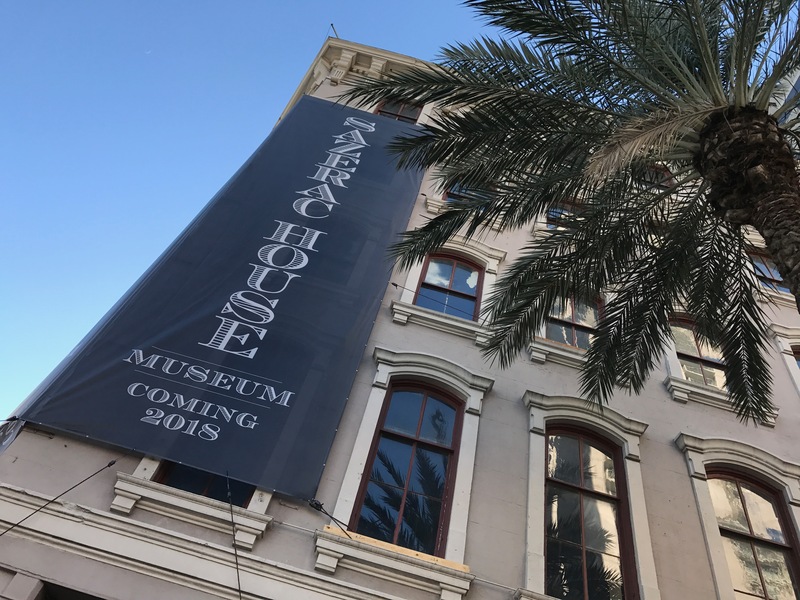 The history of the sazerac cocktail will play a large part at the museum, but expect to see other New Orleans cocktails featured. The role of New Orleans in the history of bourbon will also be a key part. Louisiana Governor John Bel Edwards, Sazerac Chairman Bill Goldring and Sazerac CEO Mark Brown were in attendance. After a few words from everyone, Brown mentioned the company is burying a time capsule. Inside is a bottle of Sazerac Rye, Peychaud’s bitters, a rocks glass, and a recipe for the cocktail. 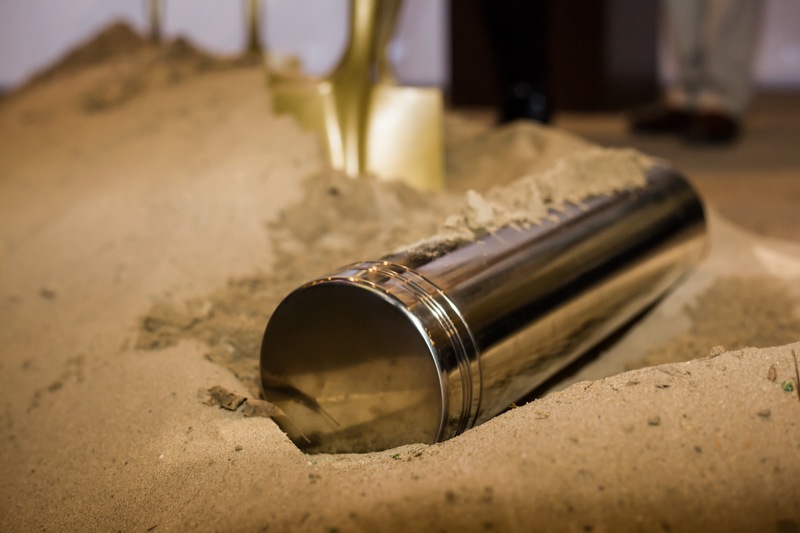 A time capsule will be buried in the museum. Sazerac Company is based here in New Orleans, though most of the action takes place at their award-winning Buffalo Trace Distillery in Frankfort, KY. The company’s roots can be traced to the Sazerac Coffee House in the French Quarter back in the 1800s. It is said that is where the sazerac cocktail was invented by Antoine Peychaud. The Sazerac Company itself formed in 1850. The location at the intersection of Canal Street and Magazine Street is near where the original Sazerac Coffee House stood, and in a prime tourist location. Sazerac projects 100,000 visitors during its first year. 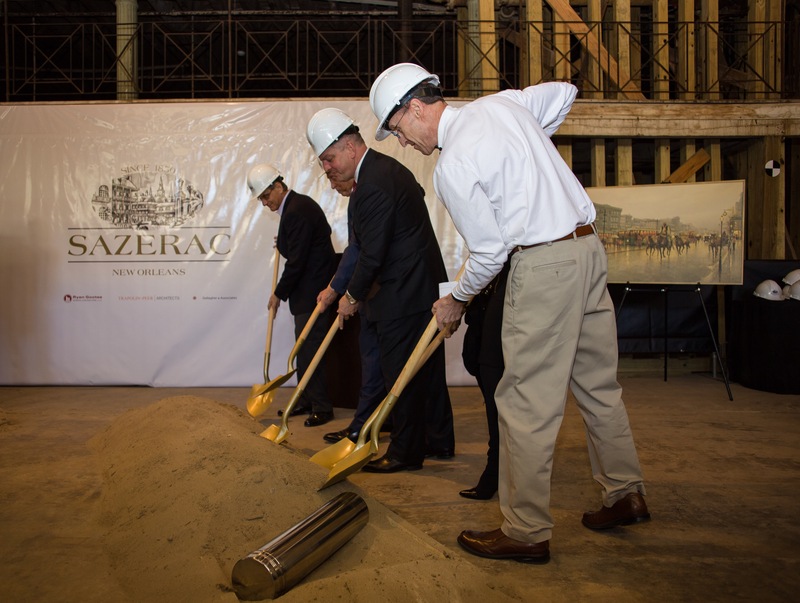 The Sazerac House will create 45 new jobs and is expected to open late 2018. And before you whiskey fans ask, I’m told there will be commemerative bottlings available at the museum.